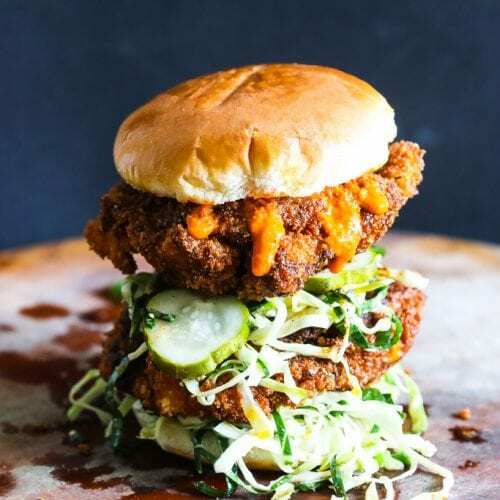 Hot Shrimp Sandwich recipe – Nashville Hot Chicken meets Japanese Ebi Katsu Burger (shrimp cutlet burger) for a spicy, succulent panko crusted shrimp sandwich with tangy collard greens slaw. 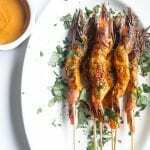 This month of February, as part of Black History Month, my recipe for Nashville Hot Shrimp Sandwich will be featured as part of a Black History Month Virtual Potluck along with recipes by 27 other amazing and uber talented black food bloggers. 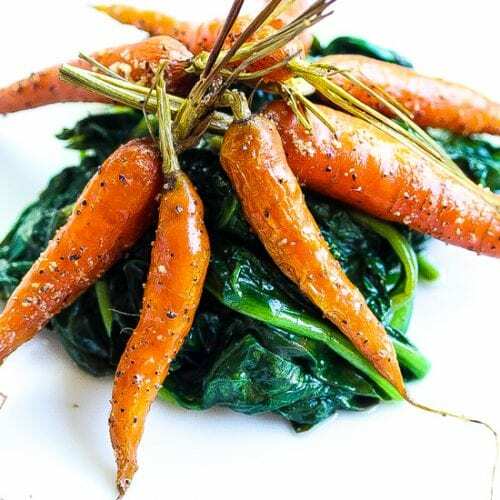 Each of us will share one dish that’s deeply rooted in black culture; and because we all hail from different parts of the world you’ll have the chance to experience a myriad of dishes from across different meal occasions including vegan/vegetarian, meats/seafood, desserts, etc. as well as geographical locations from Africa and the related African Diaspora. 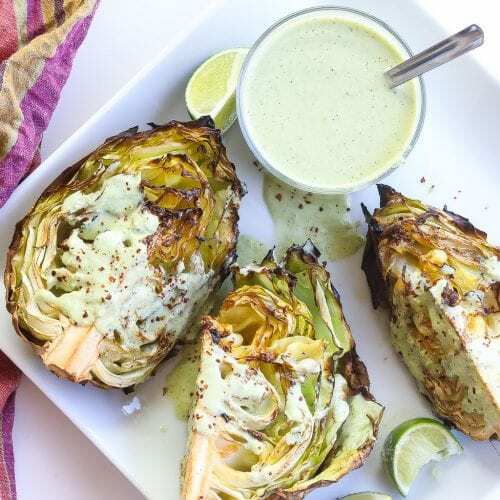 Scroll to the end of this post to get the full list of those bloggers participating as well as their delicious recipes. On the surface, I suppose a Japanese African American fusion recipe doesn’t make sense. But in reality, the linkage is closer than you think. First of all fried chicken is universal. 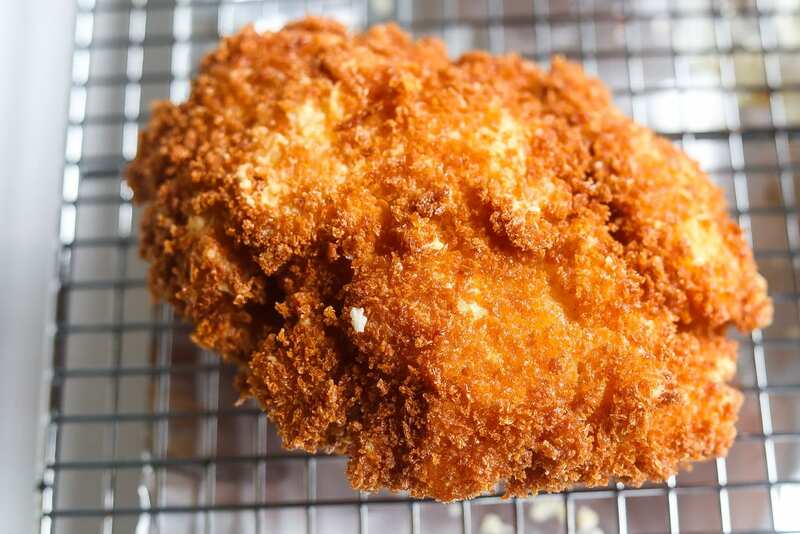 Here in the States, particularly in Soul Food kitchens, we have our Southern fried chicken and in Japan, they have karaage fried chicken which is deep fried using potato starch for breading. Historically as early as the 1500s there was Yasuke, an African Samurai, long before Ghost Dog (great movie btw). I know, black excellence is everywhere, right! Yasuke is a fascinating story and you can learn more about his story in this article on the forgotten African samurai. Not surprisingly religion whether Islam or Christianity played a major role in the African Diaspora, i.e. the mass dispersion of peoples from Africa from the 1500s to the 1800s. Most of the Diaspora focuses on the Americas and Caribbean, but Yasuke was brought to Japan by Jesuits suggesting that the Diaspora is actually more expansive. Bringing the topic back to fried chicken and modern times, there is a soul food restaurant in Tokyo, called Soul House, run by an African American couple who hail from Atlanta, but now live in Tokyo. They serve delicious fried chicken, as shown on the Netflix series Ugly Delicious that’s wildly popular. It was the appreciation for my own culture as well as Japanese that inspired this Hot Shrimp Sandwich recipe. I’ve never been to Japan, but had ebi katsu burgers in Little Tokyo, Los Angeles. I put extra emphasis on burgers, cause I smashed three of those bad boys! Ebi Katsu burgers are just panko crusted shrimp cutlets deep fried and served on sesame buns with shredded lettuce and tarter sauce. 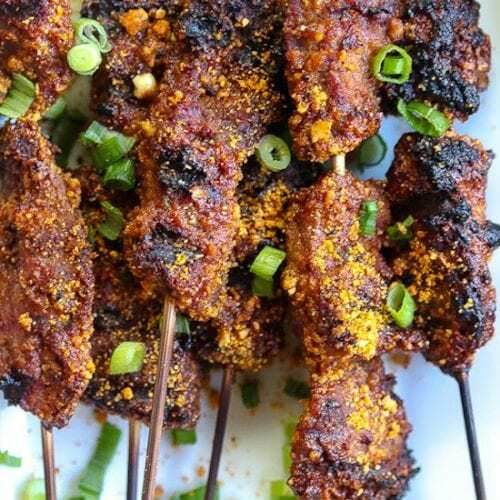 The cutlets are made from a combo of shrimp paste and diced shrimp. The sandwich is both juicy and delicate with a nice crispiness to it. My first thought after having my first ebi katsu burger was how do I make this at home. After a bit of research, I settled on an approach and after enough practice, I decided to my own spin on it. In my mind, a Nashville Hot version of the recipe would be Ill to use old school 80’s vernacular. For those unfamiliar, “Ill” is slang for dope, fresh, phat, GREAT! 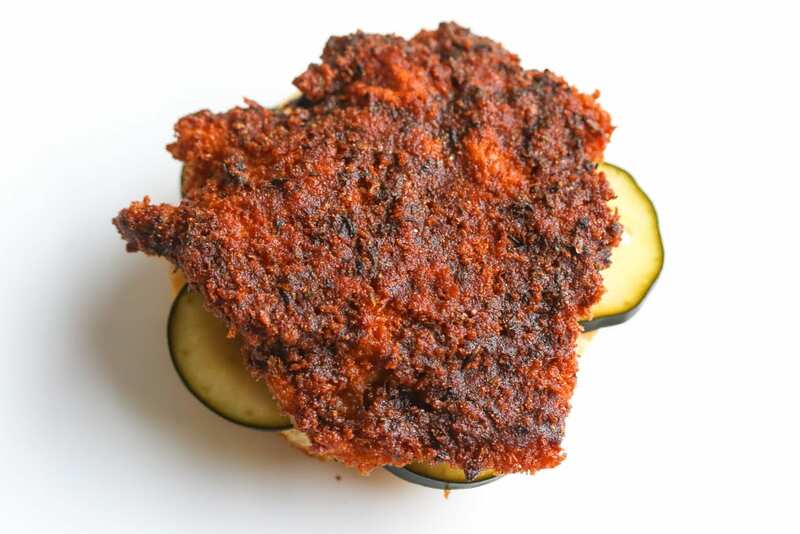 At its core, Nashville Hot Chicken is chicken deep fried and then bathed in a spicy chili oil (dry cayenne based spice mix + oil the chicken cooks in). The chili oil makes it easy to sprinkle on additional spice mix. You can make it as fire as you prefer. 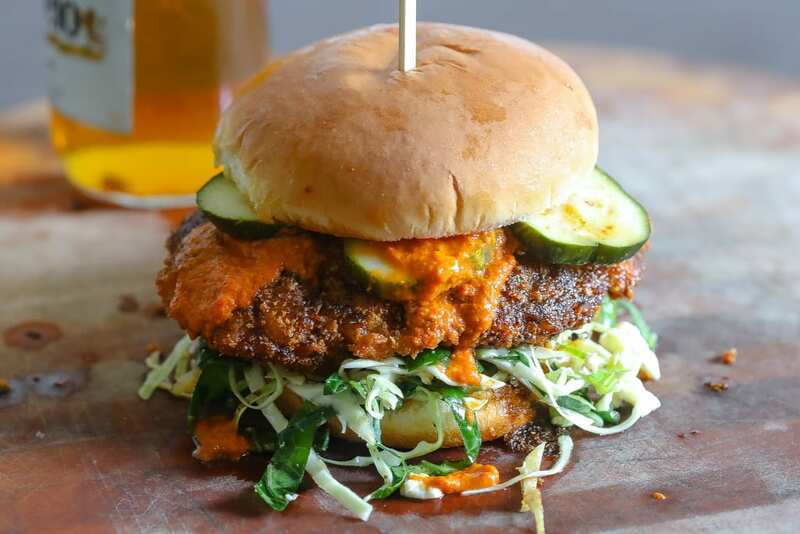 Who Invented Nashville Hot Chicken? 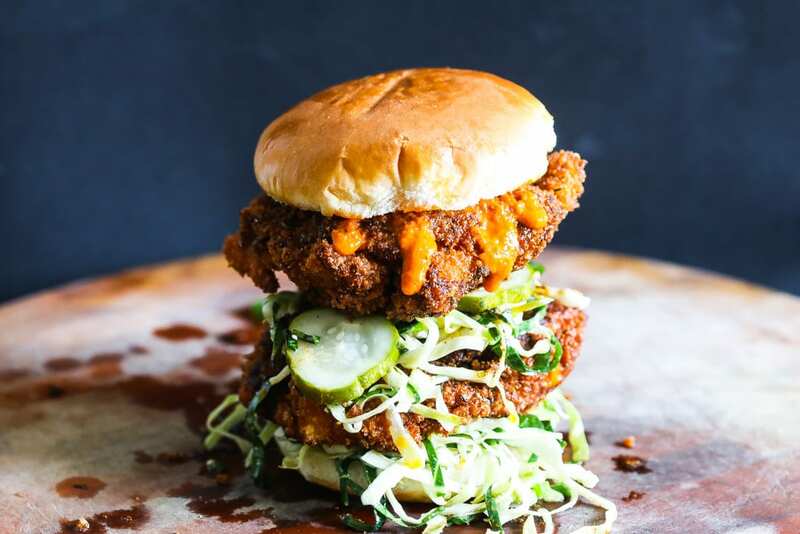 Nashville hot chicken is the rave nationally and is approaching global status thanks to KFC putting it on its global menu and the national growth of chains like Hattie B’s and Gus Fried Chicken. 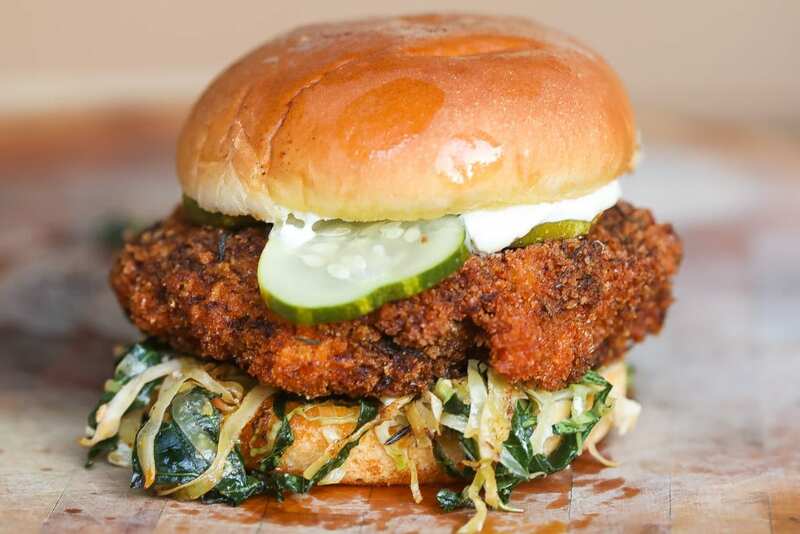 But don’t get it twisted, Nashville Hot Chicken is rooted in blackness and originated among innovative and creative African Americans in Nashville, TN. This article on the origin of hot chicken will give you the scoop, but in short Andre Prince, who started Prince’s Hot Chicken Shack is the originator. Bolton’s with it’s dry rub version is the other local pioneer. 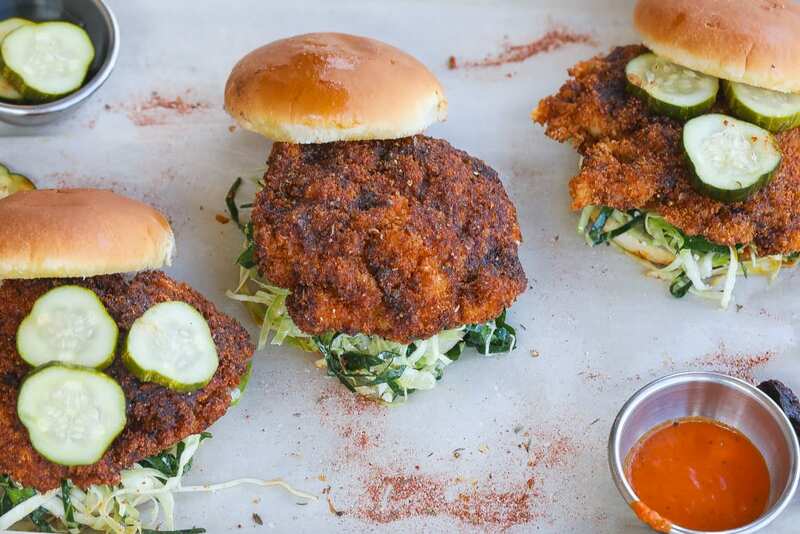 Prince’s was definitely on my mind when he came up with this hot shrimp sandwich recipe. Late this past December, Prince’s main location was indefinitely closed after a car crashed into the building. Okay, let’s get things straight up front, “hot” is in the name so there has to be some level of heat in the sandwich. 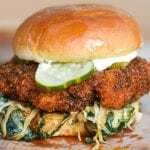 Afterall, the originator created hot chicken as a revenge sandwich for her cheating man. If you don’t do hot, then this ain’t the recipe for you. Now you can moderate the heat levels to your liking. This specific hot shrimp sandwich recipe is mid-level, as I figured I needed to make the introduction mass friendly, vs. the scorching, lip numbing, runny nose and forehead sweat inducing that I like lol. 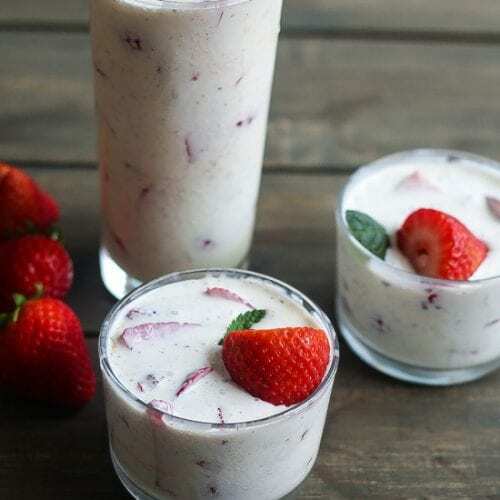 Don’t worry you won’t need a glass on milk as a chaser for this recipe, but a cold beer is a great compliment. I’d say the heat accommodates and is forgiving. But be warned there is an addictive quality to it that may make you want to test the limits. 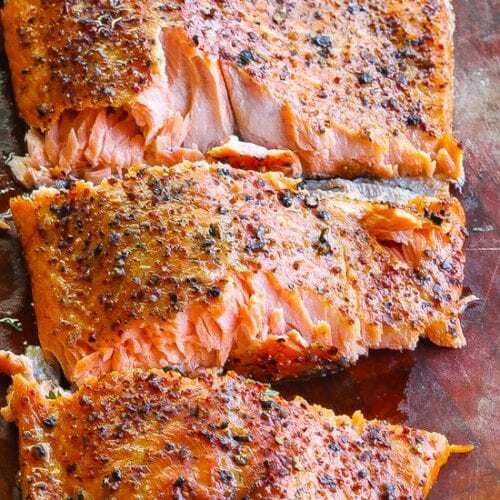 There is magic in the spice rub mix that is used. I went more for “Cajun hot” which features a mixture of cayenne, paprika, garlic, onion powder and dried herbs. How is Nashville Hot Shrimp Sandwich Made? Step 2 – Place the panko breadcrumbs in a shallow bowl and set aside. 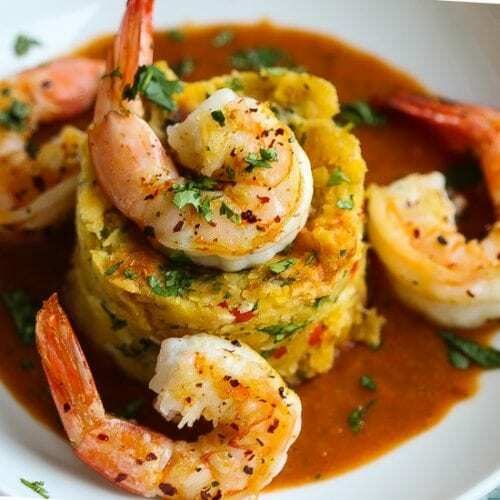 Mix the flour, egg, whole and pureed shrimp in a large bowl and mix well to combine. 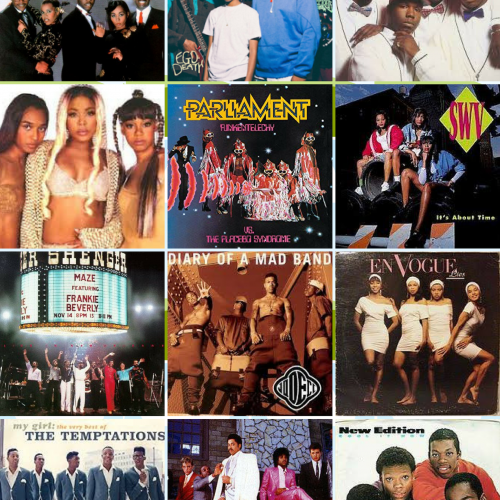 It should be a sticky, cohesive mix. 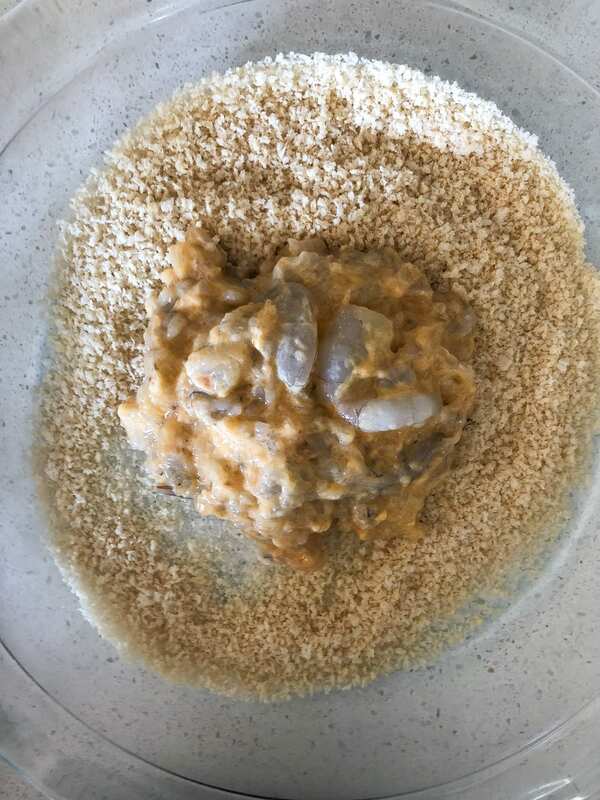 Step 3 – Gently place a mound of shrimp mix in the breadcrumbs. I like mine to extend a little outside the diameter of the bun. Cover on all sides with the breadcrumbs and place in the fridge while the oil heats. Step 4 – Heat the oil in a frypan or fryer until it reaches 180C/350F. Gently lower the patties into the oil. Fry for about 3-4 minutes on each side until the breadcrumbs are golden. Drain on cooling rack. If using a deep fryer, you’ll know it’s ready when the patty floats. Step 5 – Brush the chili oil onto the patty covering it entirely. 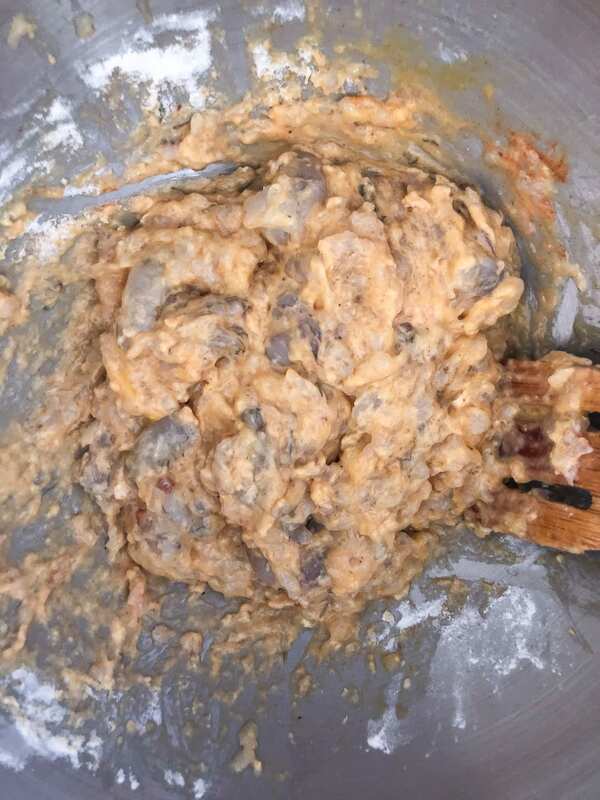 Step 6 – Place the slaw on the base bun, then add the patty and top with pickles and mayo/sauce. Most Japanese Ebi Katsu Burgers use smaller shrimp for costs but opt for larger ones if you can afford them. The texture will be better. Fresh or frozen shrimp each work fine, so if you want to cut down on time buy the already peeled frozen and just plan to thaw them out. Crisp shredded cabbage is used for Ebi Katsu burgers as the crisp texture and refreshing qualities compliment the deep-fried shrimp. However, I prefer a good basic slaw for the hot shrimp sandwich. The slaw is needed to counter the heat and the vinegar helps break up the fat. 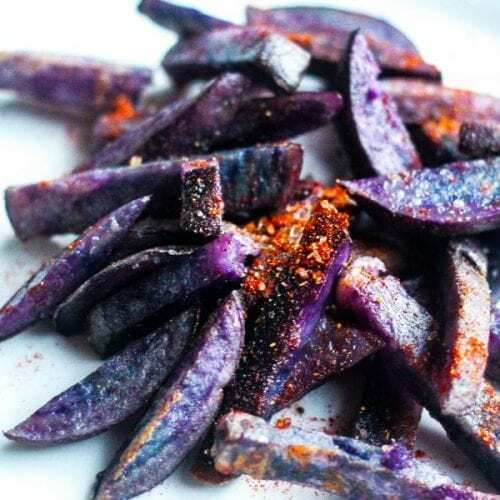 Use cayenne as liberally or lightly as you prefer. Just don’t go so far as to nuke your taste buds and thus miss enjoying the deliciousness of all the complimentary flavors. If you make this Nashville Hot Shrimp Sandwich, please come back and leave me a comment below with your feedback. Definitely take a photo of the dish and be sure to tag #foodfidelity so that I can see them. For other original and crazy sandwich recipes try this beef neckbones sandwich or grilled cheese andouille sausage sandwich. 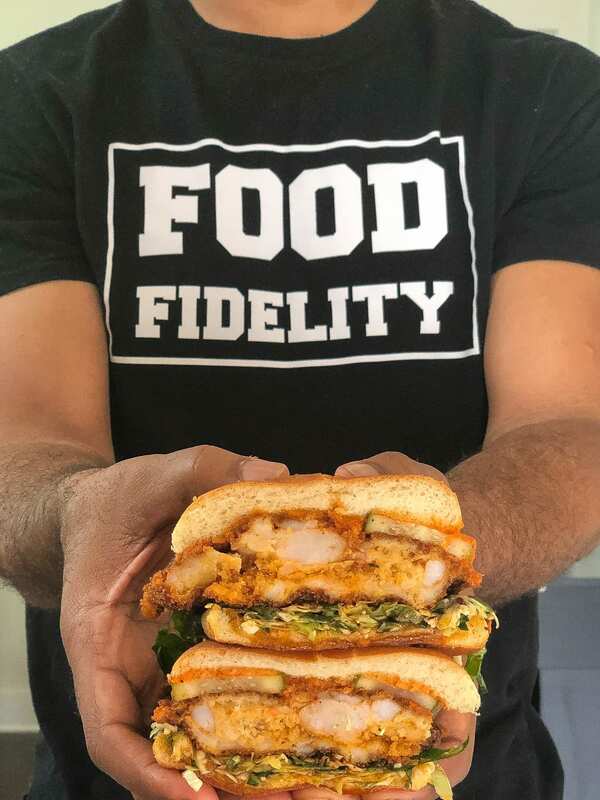 Nashville Hot Chicken meets Japanese Ebi Katsu for a spicy, succulent panko crusted shrimp sandwich with collard greens slaw. Combine shredded cabbage, collard greens, feta and chopped green onions in a large bowl. In a separate bowl whisk together vinegar, salt, pepper, sugar, and olive oil. Pour over the slaw and toss. Refrigerate until ready to serve. 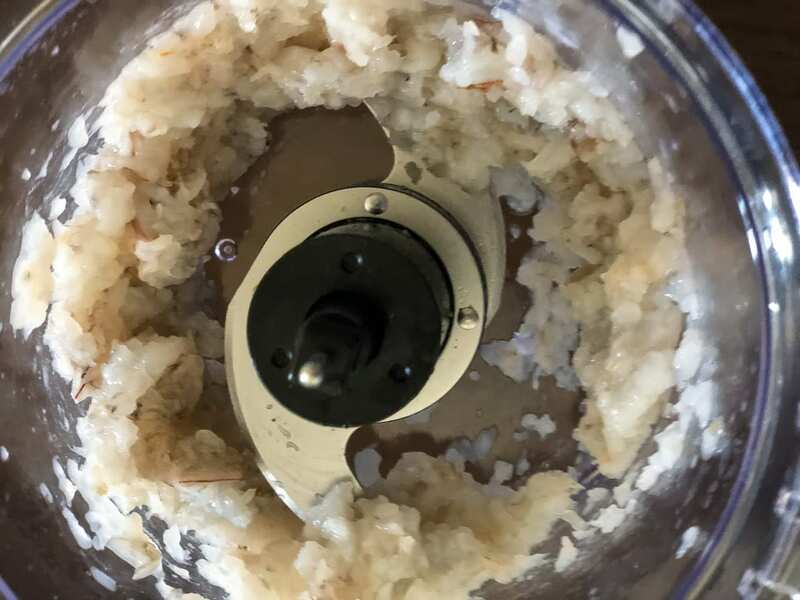 Add half the shrimp to a food processor or blender and blend until it reaches a chunky sticky paste texture. Combine this in a large bowl with the remaining whole shrimp, flour, egg, salt and pepper. Mix until everything is well combined. 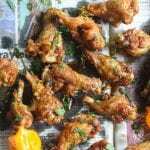 Heat oil in a large skillet over medium-high heat or heat deep fryer to 350 degrees. Spread panko on a large plate. Scoop half of the shrimp mixture on top of the panko and coat evenly while shaping into a patty. Setup cooling rack by placing a metal grate over a foil lined baking sheet. 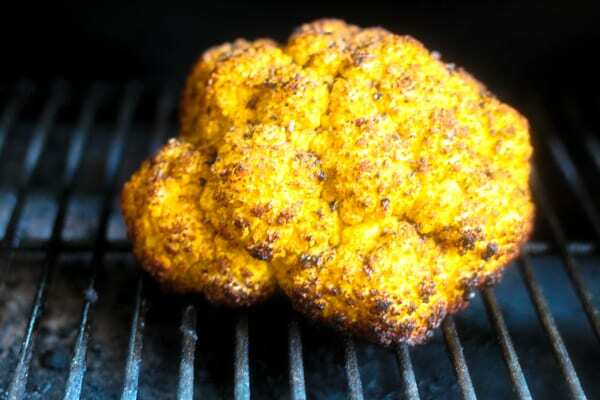 Transfer patties to the skillet, and cook for 2 to 3 minutes on each side, or until fully cooked and golden brown. If using a deep fryer, cook until patty floats (3-5 minutes). Reserve a tablespoon of the spice mix in a separate small bowl. Collect about a cup of the cooking grease and add it to the spice mix. Use a brush and paint each patty fully with the chili oil. Using the reserved spice mix sprinkle some more of the spice on the patties. 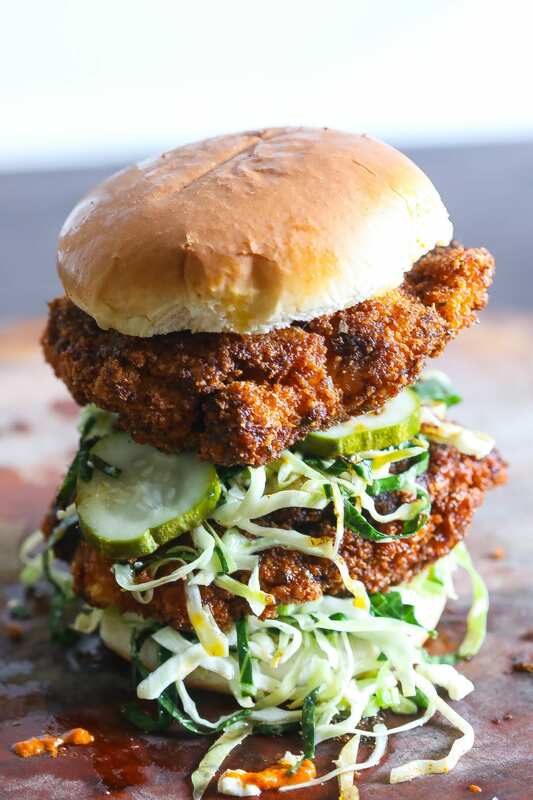 Top the base bun with slaw, one patty, pickles, sauce and top bun. Enjoy! Here is the line-up and recipes for the Virtual Potluck. Be sure to check them out!